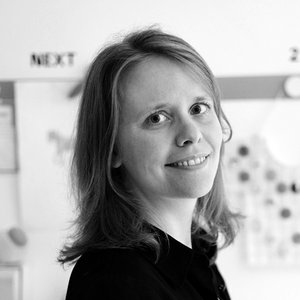 Emmi is the UK Creative Director of the international sustainability strategy and creative agency, Futerra. Our mission is to make sustainability so desirable it becomes normal. Prior to Futerra, Emmi Salonen run a London based graphic design practise, Studio EMMI for 12 years. Emmi is the author of the book Common Interest: Documents, and contributes to industry magazines on topics ranging from typography to women in design. She regularly lectures across the country and beyond. Emmi was one of the main stage speakers at AIGA's Design Conference in New Orleans, USA, in 2015, talking to an audience of 2000+. As a native of Finland, and armed with the national trait of having a keen interest in nature and common good, Emmi has earned past professional stripes in Italy (Fabrica), London and New York (karlssonwilker inc.), and has had her work widely published and exhibited world wide.